So not being a Marvel boy for so long, there is so much about these popular characters that I know nothing about. When Black Panther debuted I didn't see it in theaters. I eventually saw the movie when it came to Netflix and after that viewing, I immediately regretted not sharing in this story in the theater. 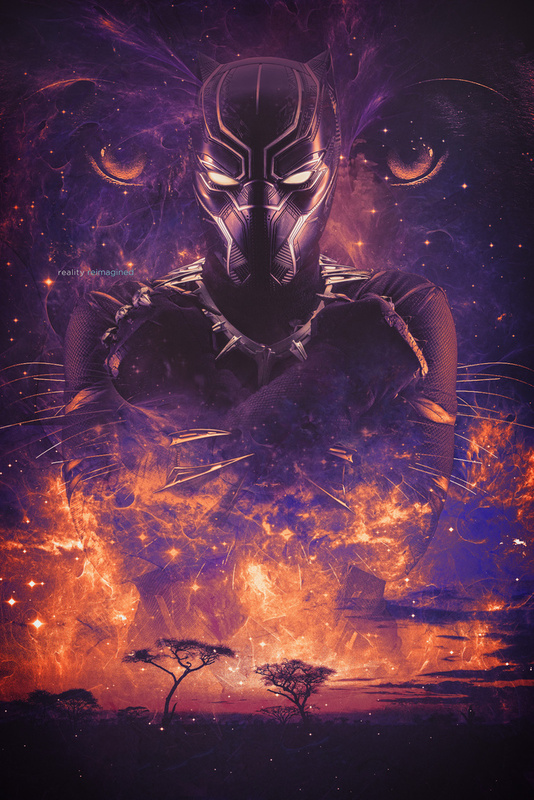 I fell in love with this character, the story of the people of Wakanda and suffice to say that T'Challa has become my favorite Marvel character to date (Captain Marvel will probably give him a run for this fan boy's money.) Early in the film, T'Challa has a rather significant emotional moment, that captured my fandom completely. So when T'Challa visits the Ancestral Plane for the first time and communes with the spirit of his father, King T'Chaka, I took a deep breath and prepared myself for a highly charged moment. T'Challa: "I am not ready to be with out you." T'Chaka: "A man who has not prepared his children for his own death, has failed as a father. Have I ever failed you?" The lid of my grief, went flying off. In a good way :) Because I knew that my father had indeed not failed me and I had not failed myself. In that moment, I identified so much with T'Challa and as his story continued throughout the film, I knew this was a hero that I wanted to be more like. It was a pleasure working with Converse Ninja on this shoot. We had a great conversation and I hope to be able to create with him again!